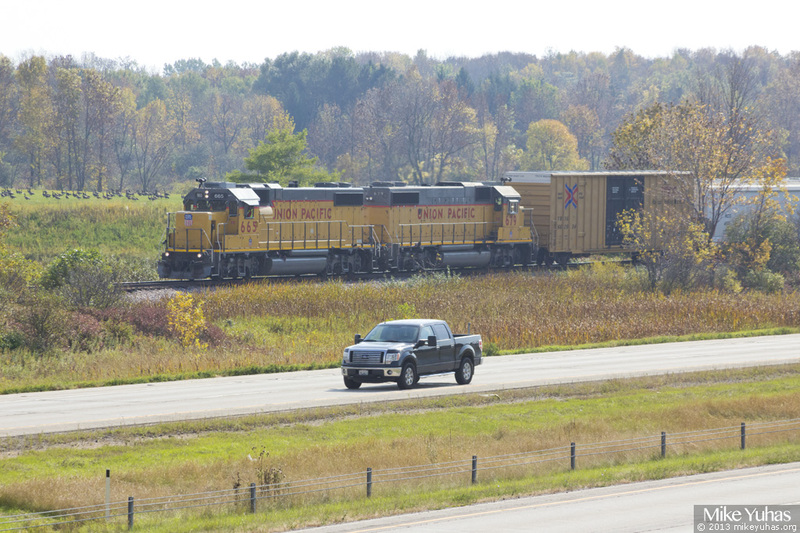 A rare daylight Sheboygan wayfreight heads north toward Sheboygan as traffic whizzes by on I43. At this point the train consists of the two geeps and 13 cars; the head boxcar will shortly be set out in Belgium. This train ordinarily passes by here in the dead of night.